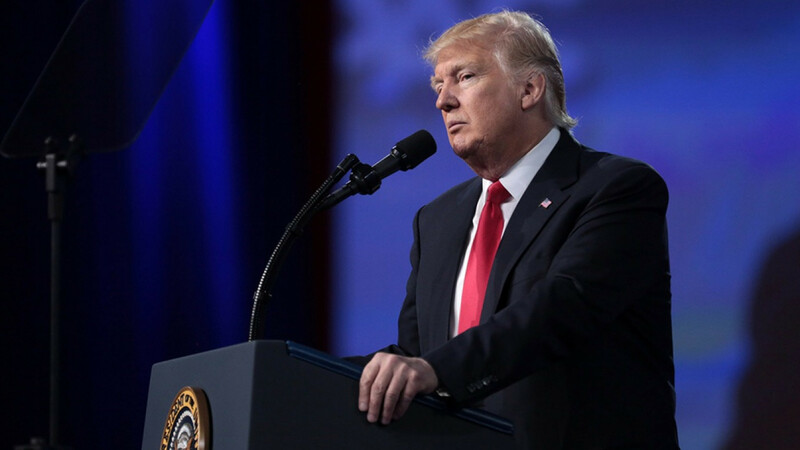 U.S. President Donald Trump on Wednesday called on Russia to pull its troops from Venezuela and said that "all options" were open to make that happen. 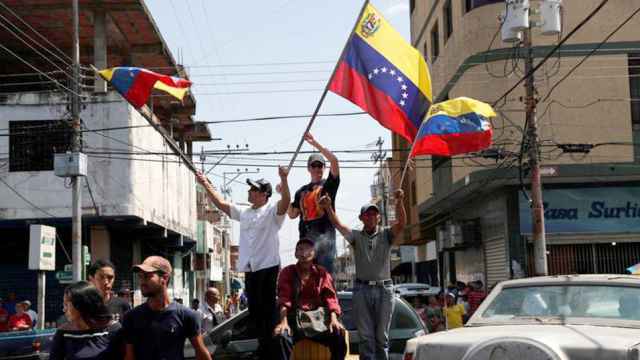 Russia and China have backed President Nicolas Maduro, while the United States and most other Western countries support opposition leader Juan Guaido. 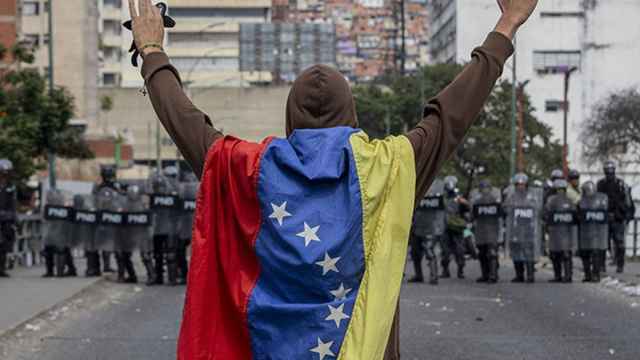 In January, Guaido invoked the constitution to assume Venezuela's interim presidency, arguing that Maduro's 2018 re-election was illegitimate. 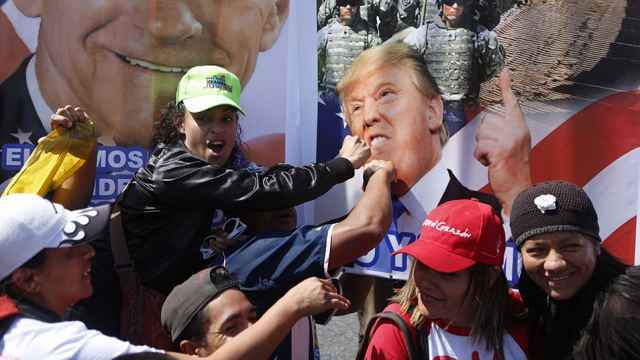 "Russia has to get out," Trump told reporters in the Oval Office, where he met with Guaido's wife, Fabiana Rosales. Russia has bilateral relations and agreements with Venezuela and Maduro that it plans to honor, Russia's deputy U.N. ambassador, Dmitry Polyanskiy, said on Twitter. "Before giving advice to somebody to withdraw from somewhere, the United States should bring to life its own concept of exodus, particularly from Syria," Zakharova said, speaking on Russia’s state Channel One, TASS news agency quoted her as saying. Venezuela's economy is in tatters with food and medicine in short supply due to years of hyperinflation. In addition, citizens are now grappling with power blackouts that experts have blamed on years of neglect and maintenance. "Trying to break our morale"
"The day and week after is going to be a long process," Pompeo said. "I've seen estimates between $6 billion and $12 billion to repair" the economy, he said. 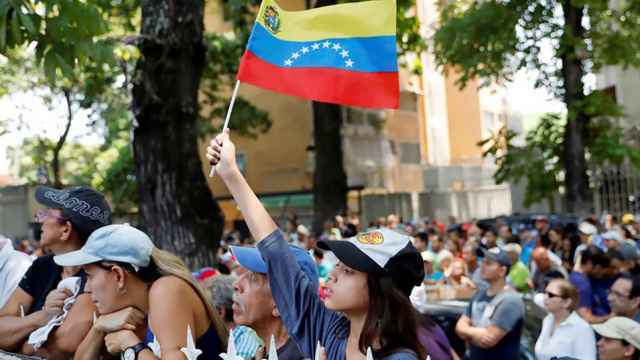 The Trump administration has asked Congress for up to $500 million in foreign aid to help "support a democratic transition in Venezuela," Pompeo said in written testimony to the U.S. House of Representatives. At the White House, Rosales, Guaido's wife, told Trump and Vice President Mike Pence that food shortages in Venezuela were hurting children. "They are trying to break our morale. They want to submerge us in eternal darkness. But let me tell you that there is light, and the light is here," said Rosales, a 26-year-old journalist and opposition activist. "I fear for my husband's life," said Rosales, who was accompanied by the wife and sister of Roberto Marrero, Guaido's chief of staff, who was arrested and detained last week. Pence praised Rosales for being "courageous." "Our message very simply is: We're with you," Pence said.